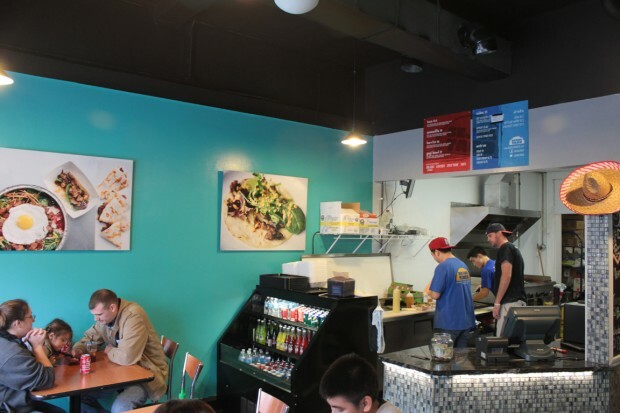 Just after the Korean BBQ-Mexican fusion restaurant Seoul Taco’s two year anniversary in its hole-in-the-wall location on the Delmar Loop, owner David Choi announced plans to relocate to 6665 Delmar Blvd, previous home of Ginger Bistro, Feast Magazine reported. Although I had never even heard of a Gogi bowl or bulgogi before coming to Wash U, and I was quickly skeptical of a restaurant that combines Korean BBQ flavors and cooking methods with Mexican style preparations, I am now a full believer. 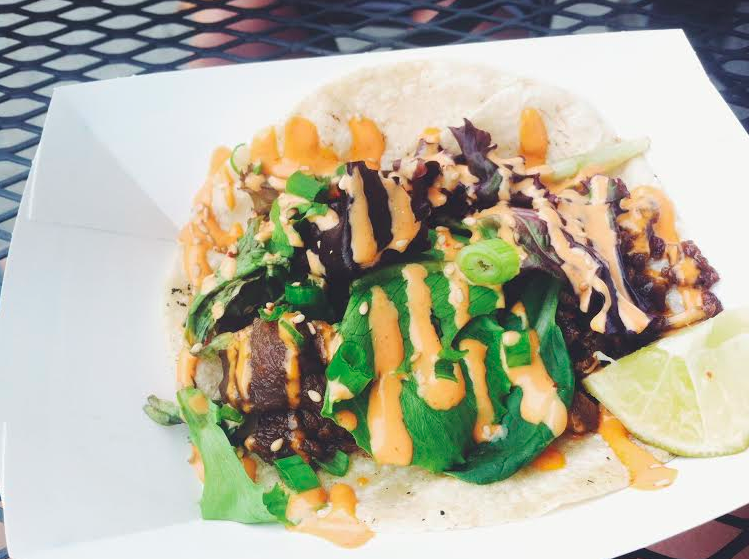 Seoul Taco is the perfect way to taste the complex spicy-sweet flavors of Korean BBQ (Choi’s grandmother’s secret recipe) in familiarly indulgent tacos, burritos, quesadillas and rice bowls. The food is different, convenient, quick, delicious and cheap – a college student’s dream. And with 3,700 more square feet, the dining experience won’t be as cramped as it usually is during peak lunch and dinner times at the current location. Even more exciting is Seoul Q, the new concept restaurant Choi will open next door to the new Seoul Taco, which will allow diners to participate in the cooking process. Each table will have an induction burner, where customers can prepare their own stews and soups for a unique, communal dining experience. The menu will be set up to accommodate couples and larger groups of 3 to 5 people, St. Louis Magazine reported. While this might sound similar to a do-it-yourself fondue restaurant like The Melting Pot, Choi also plans to install individual pull-down fume hoods above 8-10 of the tables, converting them into full-fledged Korean BBQ stations. Diners will be able to BBQ marinated short ribs, as well as various high quality pork cuts. “People can wrap the meats in lettuce wraps, which is common, but what will be really fun will be wrapping the meats in tortillas from bun steamers at each table. That’s the Seoul Taco way,” Choi told St. Louis Magazine. Amazingly, there’s more. The sauces served alongside the meats will be made in collaboration with Pappy’s Smokehouse. And if two of Wash U students’ most beloved restaurants combined into one revolutionary dining venture still isn’t impressive enough, according to Sauce Magazine, the new location will have a liquor license, serving up local craft beers at Seoul Taco and house-made cocktails featuring soju, a Korean spirit, at Seoul Q.
Interestingly enough, Choi also has plans to expand beyond the St. Louis area to downtown Columbia where he will occupy a shared space with a new Strange Donuts location, Columbia Tribune reported. Basically a two-for-one comfort food heaven. Corey Smale and Jason Bockman, the owners of Strange Donuts, recently collaborated with Choi to create a potato cake, pepper flake doughnut stuffed with a vinaigrette spring mix, marinated steak, shredded carrots, cheddar cheese and topped with a chili glaze. When they heard that Choi was looking at spaces in Columbia, they reached out to him and it is now confirmed that by the end of this year, the two restaurants will share a dining area in the space previously occupied by Panera Bread in the old Hall Theater. Based on Choi’s incredible successes with his unique Korean-Mexican fusion menu, first featured in his food truck in 2011 followed by the brick-and-mortar location just off Delmar Blvd, I have no doubt that these new plans will continue the Seoul legacy in the best way possible.